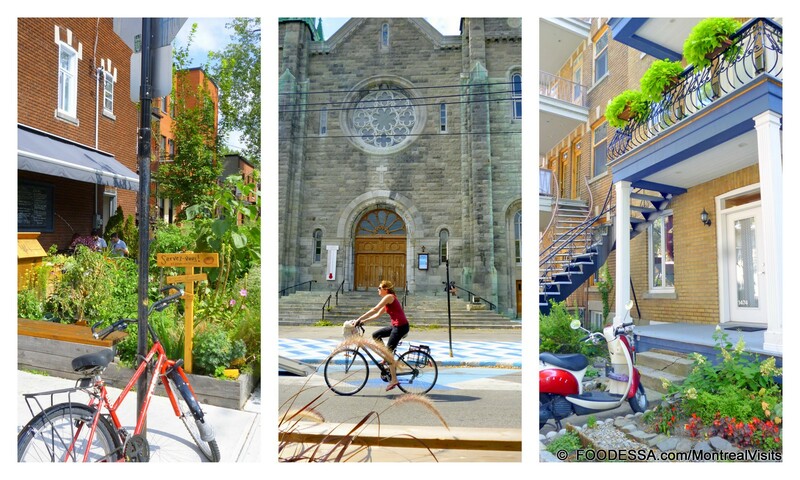 Customized, private Montreal visits for the curious and food enthusiast.
. Persons wanting to avoid larger tour groups.
. Those who prefer not having their food choices made for them.
. Persons who appreciate attentiveness to their needs and desires.
. Those who value the flexibility of stopping slightly off the beaten tour path.
. Persons who don't want to be brought only to conveniently chosen 'tour acceptable' stops.
. All VISITS are offered in either English, French as well as Italian. Languages can be switched effortlessly at any time.
. Along our visit walks, whether a jaunt across a park, boulevard strolls, sit down pauses or butterfly stops for snacking, flexibility to make this visit customized is encouraged. Most visits have the possibility of several food-related options for you to pick from. It is left up to your personalized group where you stop or skip ahead.
. Since operational days and hours vary according to establishment, at times, small disappointments may occur. No worry, many more stops to discover along the way.
. Although there is a set itinerary, some flexibility is allocated in order to customize towards your needs. Some adjustments may also occur as some stops may have changed or have become less desirable through time.
. At the end of the visit, several options will be suggested for you to either stay within the area and continue your memorable moment or at least be left off at the nearest Metro (subway) station.
. Any visit will last for a minimum 3 (three) hour duration. Reasonable leeway time has been worked into the itineraries for strolling and browsing through shops if that's your desire.
. Once you have chosen your first and/ or second VISIT, please indicate the date desired plus if possible a secondary choice in case your first date has been taken.
. The 10 A.M. timeline is a general hour which seems to work well for these types of food related visits, especially when wanting to capture the essence of what most shops offer in the earlier part of the day. Fresh out of the oven croissant anyone? That said, the visit can be adapted to your needs within reason. An earlier or later morning departure hour can be discussed before booking. Please, do not hesitate to inquire, it is your visit after all.
. The usual meet up time is the start of your visit, therefore, please show up at least 15 minutes prior. If for some unforeseen reason you find yourself late, a phone call will be required. A telephone number will be provided to you at the moment of confirmed booking.
. Location never changes unless for some reason relating to city work or event, the VISIT has to be re-routed. You will be notified as soon as information is made available.
. Only parents can truly judge their children's maturity, patience and tolerance when deciding if a visit lasting up to 3 (three) hours will keep them interested and well behaved so that the experience remains a pleasurable one. In general, children above the age of 12 usually enjoy and appreciate this style of visit. Please inform if there will be children in your formed group.
. RATES are based on a minimum 2 person visit.
. Private, custom MONTREAL VISITS are 75$CAD/person and can be offered as low as 35$CAD depending on the size of your personalized group. Although rates are quoted in Canadian funds, they can be payable in your country's currency.
. In order to keep your personalized group intimate and the time constraints flexible, a 6 (six) person group is capped in order for everyone to fully enjoy the visit. Adding more people is not impossible, however, not suggested.
. If you are only 2 (two) people in your personalized group, the rate is 75CAD$/person. If, on the other hand, you would ADD to your private group, the rates will incrementally decrease by 10$CAD/person up to a maximum group of 6 (six) people which will average out to 35CAD$/person. NOTE: Please take into consideration that some smaller establishments only accept cash payments.
. Inquire or request a reservation by contacting Claudia by email at: foodessa [at] gmail [dot] com ...with the subject line: MONTREAL VISITS.
. If your chosen date is available, an email will be sent to confirm the date and will be respected for a period of 24 (twenty-four) hours. NOTE: If you don't receive a reply within 48 hours, please do check your junk mail folder.
. Once, you reserve a VISIT(s), a full payment (minimum 2 persons) for your group must also be paid within 48 (forty-eight) hours upon receipt of the Montreal Visit(s) Booking Confirmation. You can later add (maximum 4 more persons) to your own group and the price adjustment will be applied in accordance.
. Payment(s) will be made through the secured payment site: PayPal. Further information will be sent out with the preliminary confirmation upon booking.
. CHANGES: If you have booked a MONTREAL VISIT(s) and find yourself unable to attend on your confirmed date you may transfer your paid MONTREAL VISIT(s) to another person of your choosing. Please make sure to give ample notification so that the new visitor is welcomed properly.
. CANCELLATION: A full refund minus PayPal service fees for any VISIT will be offered ONLY for cancellations notified by dated email up to 21 (twenty-one) days prior to the confirmed VISIT(s).
. Should a very unfortunate circumstance prevent a booked visit to take place, then MONTREAL VISITs' liability will be limited to a full refund. This will not apply if an “Act of God” forces to shut down the possibility of a visit to take place.
. MONTREAL VISITS is very concerned about privacy issues. Any minimal personal data collected will be for our use only. This information will never be shared with any third party.
. Do not hesitate to contact Claudia by email at: foodessa [at] gmail [dot] com ...with the subject line: MONTREAL VISITS.
. Once a booked confirmation is settled, a telephone number will be forwarded for any notifications, supplementary requests as well as any other questions you may have before your visit. then you will be well served by my signature visits. With very small groups, we get a lot more coverage...more for you to experience. Looking forward to sharing parts of Montreal with you soon.